Regional foreclosures advanced at the state’s highest percentage among metropolitan areas in 2013. Property repossessions, home auction notices and mortgage default activity in the Scranton/Wilkes-Barre metro area soared by 60 percent, compared to 2012, according RealtyTrac, a Los Angeles-area company that tracks national foreclosure trends. Foreclosures climbed in the area during all four quarters of the year and the annual increase was largest proportionately among state metro areas, RealtyTrac data show. York’s 32 percent increase was the second-largest jump. The region experienced eight straight quarters of foreclosure declines before activity accelerated in the first quarter of 2013. One in a continuing series spotlighting real estate markets in the region’s communities. If Abington can come up with more houses to sell next year, its reputation for affordability – combined with lower Federal Housing Administration mortgage limits – might result in a sales boom. That’s the opinion of some real estate agents, including Cheryl Miller of Long & Foster’s Blue Bell office, who sells in this Montgomery County township known for its older houses, its hospitals, its 16 neighborhoods (or parts of neighborhoods), Willow Grove Park mall, and traffic that moves at a snail’s pace along Route 611. Homebuyers aren’t showing the Philadelphia metro area much brotherly love, with the market trailing U.S. averages in almost every metric that RealtyTrac looked at. Blomquist says Philadelphia housing is doing a particularly bad job of attracting institutional investors, defined in the study as any company or individual who buys 10 or more properties a year anywhere in America. Philly has also seen a sub-par 32% decline in foreclosure filings, while median home prices have rebounded only a below-average 16% from their March 2012 bottom. Linden Hill, the Gladwyne estate once owned by Campbell Soup heir John T. Dorrance Jr., is on the market for $24.5 million. The secluded, 50-plus-acre property at 1543 Monk Rd., with its 14,000-square-foot, 20-room Norman-style manor house, formal gardens, orchards, two heated pools, pool house, and tennis court, has been owned since 1999 by Robert L. Burch, a venture capitalist and, with his brother, J. Christopher Burch, cofounder of Eagle Eye, a retailer of outdoors sportswear they sold the same year. Robert Burch is chief executive officer of UgMO Technologies of King of Prussia, which develops irrigation systems. He declined to be interviewed. The property listing was activated Monday in time for the start of this week’s U.S. Open at Merion Golf Club. John C. Dubbs and Eleanor Morsbach Godin, of Prudential Fox & Roach in Malvern, believe the tournament will give the residence national exposure. 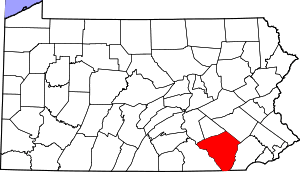 Prudential Fox and Roach Realtors’ most recent HomExpert market report showed positive signs in the housing market for Chester County and the Greater Philadelphia region. 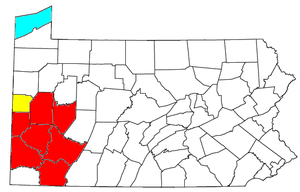 In April, 517 homes sold in Chester County, with a median price of $287,000. The number sold was 15 percent higher than April 2012, and 64 percent more than April 2011. In the first quarter of 2013, Greater Philadelphia saw a 7.8 percent home sales increase over the same quarter a year ago. 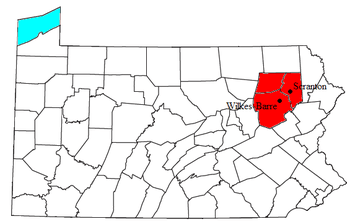 Chester County had 1,027 existing home sales during the quarter, up 6.8 percent over 2012. Pending home sales grew by 28.9 percent here in April, the Lancaster County Association of Realtors said Friday. Last month saw 495 pending sales here, up from 384 in April 2011, according to the Realtors group. With the April surge, pending home sales in Lancaster County have climbed in 11 of the past 12 months, including the last seven in a row. The Lehigh Valley housing market continued to rebound in April, with sales and prices up from a year ago. A total of 466 homes sold in April in Lehigh and Northampton counties, up 24.9 percent from the same month a year ago, according to the Prudential Patt, White Real Estate HomExpert Market Report. The median sale price was $170,000, up 6.3 percent from a year ago and up 8.4 percent from the median sale price in March. April was the tenth consecutive month of year-to-year sales increases and it was the second straight month of price increases. If the sales pace and price trends holds, it will mean the local housing market bottomed out last year. Some good news from Central Pennsylvania regarding homes sales for the third quarter of 2011. 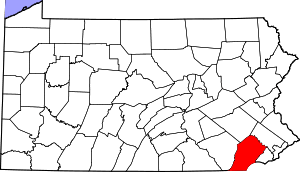 The Greater Harrisburg area (Dauphin, Cumberland and Perry Counties) saw a 17.1 percent increase in the number of homes sold during the third quarter. The increase is measured against home sales for the third quarter of 2010. The median sale price was 4.1 percent lower than the same period last year. It also took an average of 5 days longer for those homes to sell over last year. Nationally home sales rose 18.6 percent when compared to August of 2010. The median sale price was down 5.1 percent nationally. WASHINGTON—The American dream of homeownership has felt its biggest drop since the Great Depression, according to new 2010 census figures released Thursday. Not a good sign that the recession is going to be over any time soon! Sales of homes in the Harrisburg area and mid-state Pennsylvania were down a whopping 30% for the third quarter of 2010, compaired to the third quarter of 2009. It is now taking an average of 103 days to sell a home. Some people have reduced their homes to less than they paid for them and they are STILL not selling! Fears about the economy and job security are keeping people from making major purchases. This is TOTALLY a buyers market! A bright spot in the Pennsylvania housing market is York County. During the fist six months of 2010, York County home sales increased a whopping 18% while the median sale price decreased $8,900 dollars. All but two York County school districts saw increases in home sales. 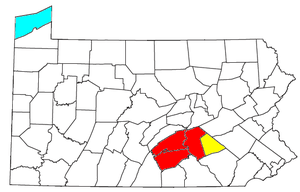 The largest increase was 63% in the Dover SD of York County. Central York had a 35% increase, Hanover Public increased 25% while York City, South Western and Red Lion had 23% increases in home sales. The federal tax credits for new home buyers has certainly helped sales and attributed to the decrease in the median sale price because of the number of first time buyers who typically purchase homes in a lower price range. The tax credit program ended in June and according to the Realtors Association of York & Adams Counties most buyers have already settled even though the deadline for settlement was extended to September. Time will tell if this trend can be sustained without the tax incentive.